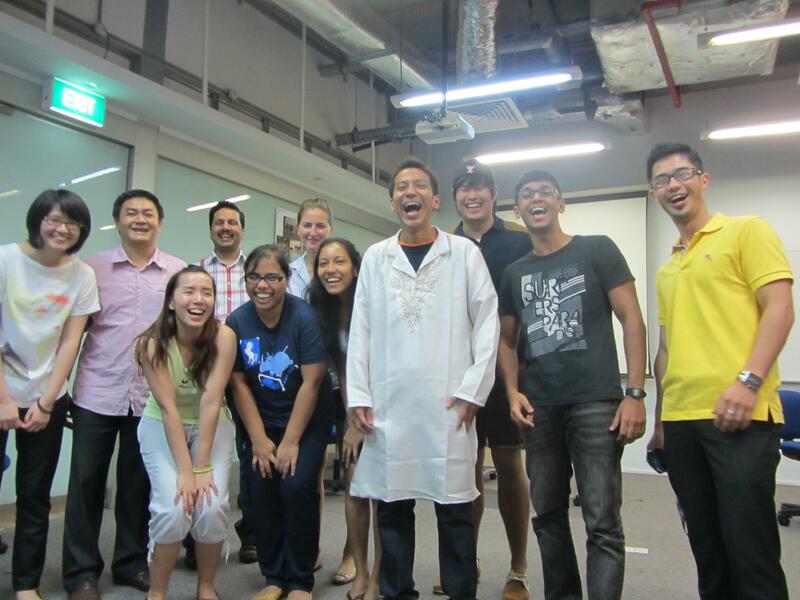 43.6% of working adults in Singapore were overall unhappy or discontented in their workplaces from the Jobscentral Work Happiness Indicator Survey of 2011 (Jobscentral 2011). A positive impact to society is considered as the least important work attribute, which suggest that employees do not give much thought as to whether or not their work allows them to contribute back to society. 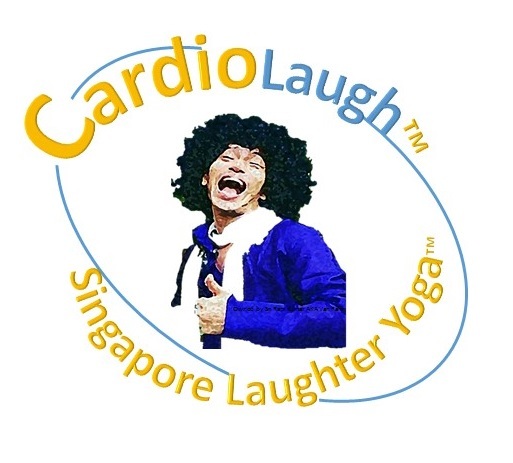 Laughter Yoga is a Great Cardio Workout: As life has become more sedentary and stressful, people find it hard to stick to any exercise routine. Just laugh yourself fit and healthy. According to Dr. William Fry 10 minutes of hearty laughter is equal to 30 minutes on the rowing machine! This is in respect to cardiopulmonary endurance. 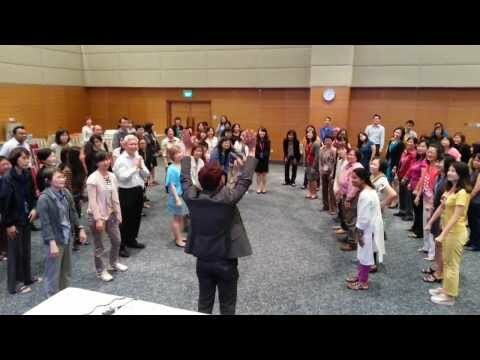 Laughter Yoga is ideally suited for busy professionals and business people who have very little time to exercise. 20 minutes of Laughter Yoga can give you similar results to an hour’s workout at the gym. 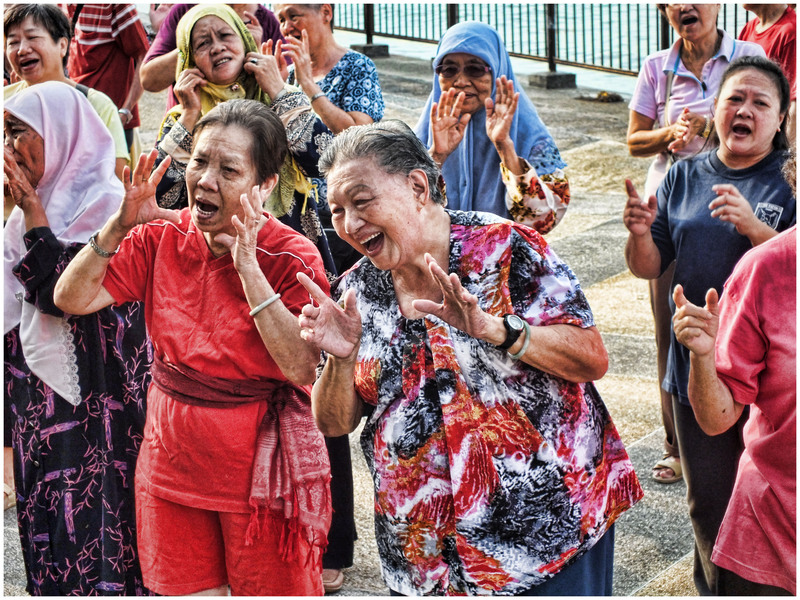 Laughter exercises are proven to provide positive impacts to the various systems of the body. Most noteworthy is the laughter's ability to unwind the negative effects of stress; that is the catalyst for many of our health problems. Personal coaching is a flexible program in which Master trainer can offer to do one-on-one coaching at the trainee's house or desired venue for one hour every week for 8 weeks. Followed by coaching over the telephone during the week. 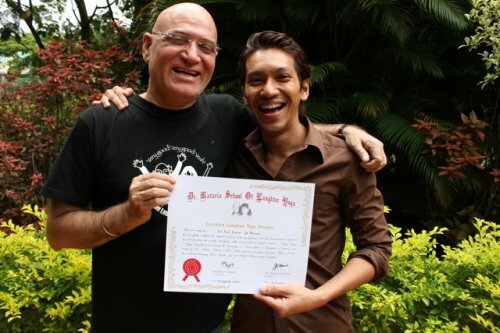 People who attend Master Trainer Ram's training will add more meaning to their life and increase in emotional well-being. Course outline modified to suit individual needs. even cancer are in some way related to stress. Over the past 2 decades, extensive research all over the world has shown that laughter has a positive impact on various systems of the body. Most noteworthy is laughter's ability to unwind negative effects of stress - the catalyst for many of our health problems. physiological & psychological benefits today! (Right) Van receiving the Train the Trainers Certificate, Founder & Director of Maximum Wellness, a collaborator and provider for Workplace Health Promotion by Health Promotion Board.